Hajime's daughter who often refers to him as "Hajime-chan". She sees Ai one day and has had a mysterious connection with her ever since. At first, she reports everything she sees through Ai to Hajime, but as the series progresses, she becomes more reluctant to do so as she begins to disagree with her father on whether they should try to stop Ai or not. 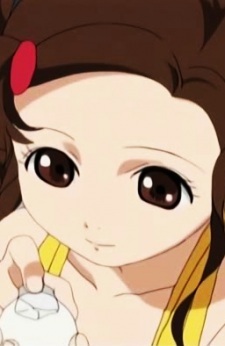 She is briefly shown in the second season as a source of information for an investigator. At the same time, it seems that she has a similar relationship with Kikuri, which is revealed in the 24th episode of the second season. She is the medical teacher of Yuzuki's school, in 3rd seasons 20th episode it's revealed.